TERRESTRIALS -- creepy-crawlies that catch fish. As I've made clear elsewhere, bugs are some of my dearest friends--why, even MOSQUITOES are (although best loved from long distance). “Terrestrials” are my friends,too. Now these are bugs and insects that really aren't aquatic creatures and spend at least 99% of their lives on terra firma, like human beings who aren't deep sea divers or Navy Seals--so, they are "Terrestrial". 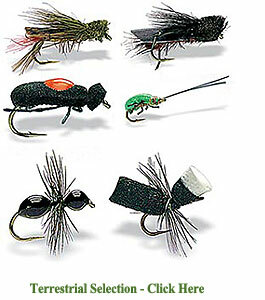 But sometimes these bugs or insects can be successfully imitated by a cleverly crafted imitation fly from the fly fisherman's fly box, and attract that stubborn sort of fish that usually jumps up out of the water just to spit at you upside-down before plunging back into the river or stream or lake. And this is so because every now and again these bugs fall or land upon the water. Even fish are attracted to exotica, it seems; these relatively unknown (to the fish) creatures may become snapped up by a hungry trout or salmon. 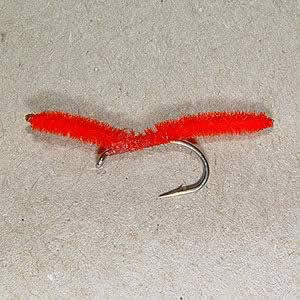 Now using this kind of fly lure would be great for getting that "jaded" fish, the one that's seen it all from the silly humans and has become too familiar with the fact that these strange beings love to throw fake food into the water. 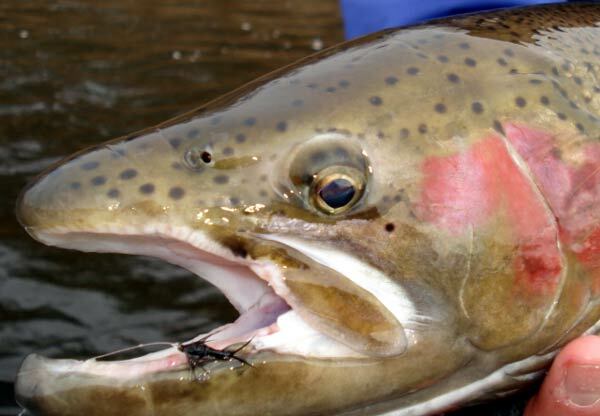 Another reason that fish--especially trout--may bite at the land creatures is because they actually understand that bigger grabs yield more nutrition and the non-aquatic insects tend to be bigger and meatier. But there's another, perhaps more potent, strategy behind using insect imitators from your extensive fishing fly collection: seasonal fishing. 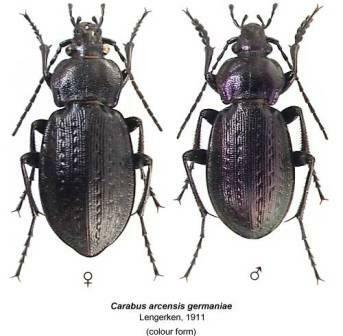 Grasshoppers and beetles and termites (oh my!) really reach their peak population and activity in the final six weeks of summer and by September they start to feel Jack Frost's nip in the air. By October, fish are used to having these creatures land or fall into the water, since there are just so many of them out there. And even that jaded fish may be off his guard during this time. So fly fishing in late summer or the first couple weeks of autumn, is the peak time to throw your land-based flies onto the water. Most freshwater fish prized by fly fishermen will go for these lures, especially in late summer, but the fly fishers' most potent target is the trout. Let's face it anglers: if fish didn't have some kind of brain, we wouldn't need 500 different fishing flies in our boxes. We could probably get by with 10 and we'd only need that many because there are different kinds of fish! Terrestrials– so many choices, so little time! !